The Westside VIP Pine is an overstable mid range driver. It has a perfect combination of stability and control. 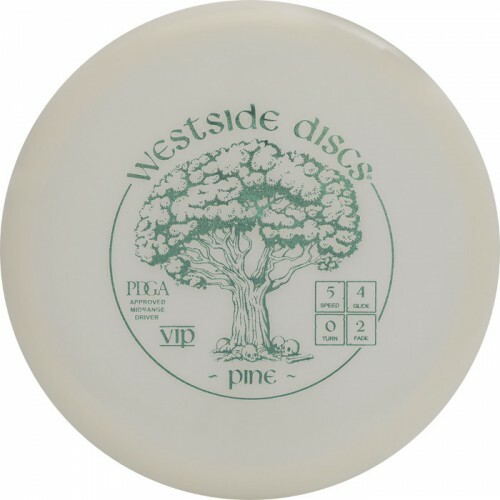 The Pine fits perfectly between Bard and Warship in the Westside Discs lineup. This disc golf driver is useful for all skill levels. Choose the Pine and stay on the fairways.